26 Ceraurus Trilobites + Bryozoans From New York - Epic Plate! 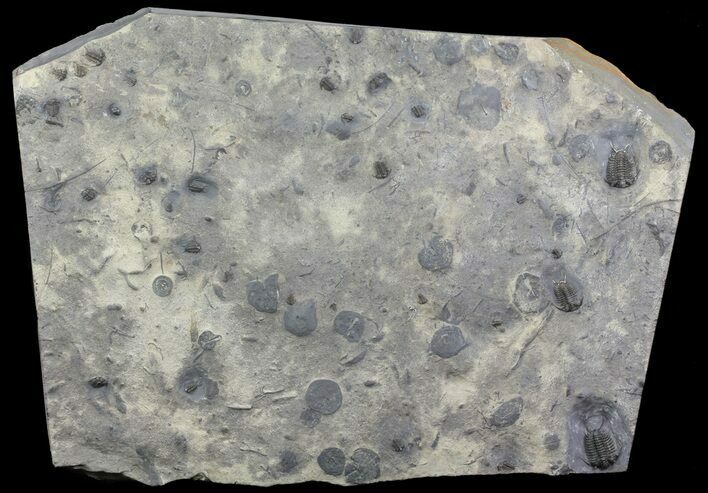 This is an epic, 19" wide plate containing 26 complete Ceraurus pleurexanthemus trilobites, as well as many Bryozoan fossils and crinoid stems. It was collected from the famous Walcott-Rust Quarry in New York several years ago and took many dozens of hours of work to prepare. 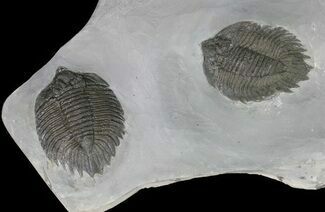 The Ceraurus trilobites are wonderfully preserved with great shell detail and inflation. The largest of them measures 1.5" long which is quite large for the quarry, though most are under an inch long. The Ceraurus layer at the quarry has been completely unproductive for several years now, so it's unlikely the quarry will produce anymore of these big multiple plates in the future. A real museum piece. 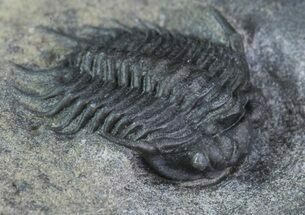 Walcott-Rust quarry located near Russia, NY is one of the most historic trilobite collecting localities in the world. It was first worked by famed paleontologist Charles Doolittle Walcott along with William Rust back in 1870. 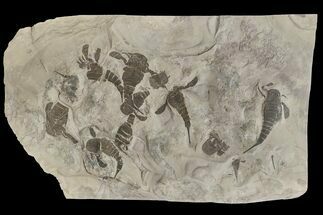 It was where Walcott was first introduced to trilobites and he later went on to make many amazing discoveries across North America included the famed Burgess Shale. After being lost for over a century this quarry was rediscovered by Thomas Whitely 1990's who dug and researched the site heavily. 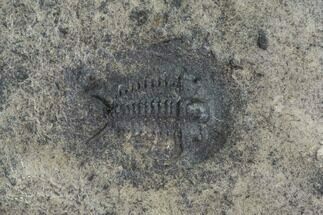 It's now leased by Trilobites of America, LLC. 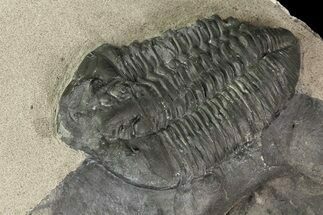 Not only is it producing some of the most amazing trilobites found in the US, but outstanding new contributions continue to be made to science. 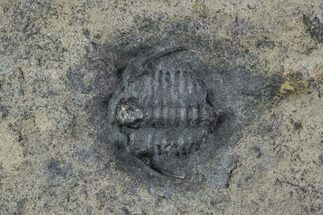 The limestones of this quarry produce arguably the best preserved trilobites in the United States. Many of them perfectly 3D with no compaction at all. 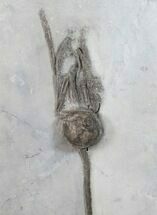 These include types like Ceraurus, Isotelus, Flexicalymene, Sphaerocoryphe and many more. Collected the Walcott-Rust quarry is brutally hard. It requires extracting large blocks of solid limestone (often weighing several hundred pounds) using massive pry bars, 20 lb sledge hammers, wedges, a lot of brute force, and rock quarrying know how. 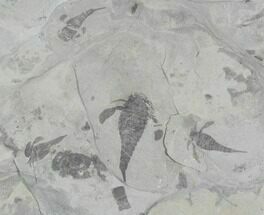 These large blocks are then broken down into smaller and smaller pieces, looking cross sections of the black trilobites in the black rock (a nearly impossible task). 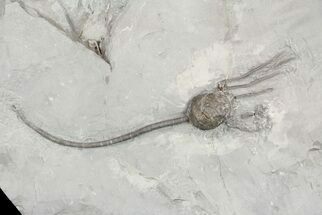 When a trilobite is found the real work begins, painstakingly extracting it from it's limestone tomb under high powered microscope using air scribes and abrasives. Large Trilobite 1.5" long, Plate 19x13"